Good morning! Since a few weeks, I have a white dot (brighter dot, especially visible when the screen is white) on the bottom middle of my display, a bit above the fingerprint scanner. 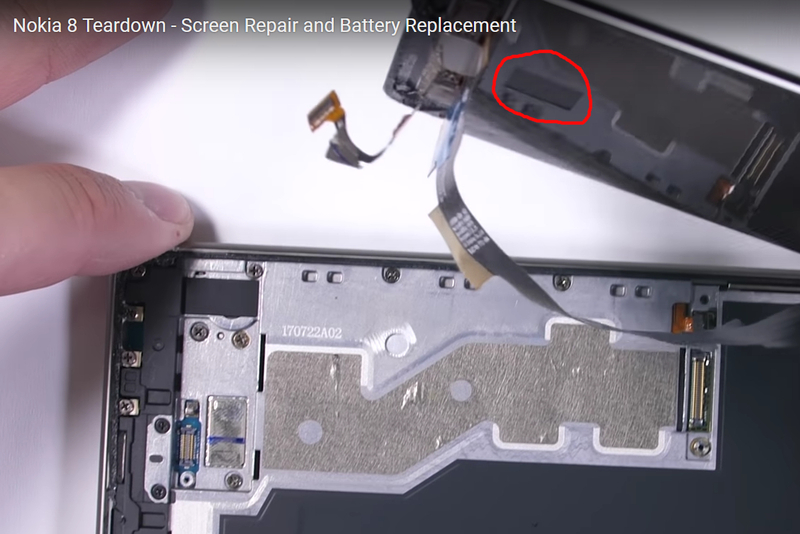 After some research I found this (might) is a pressure point on the bottom of the display. Did anyone else had this with their 8? Does someone know how to fix this? Can you share some pictures of it? Whenever i have seen anything like that on an LCD screen it has been caused by hotspot. Sorry for the late reaction , had a busy week! Here is a picture of the pressure point. Hope someone can give advice! I have noticed mine is slowly getting worse and much more noticeable as the phone ages. It doesn't effect the phone in operation but it is starting to look unsightly. 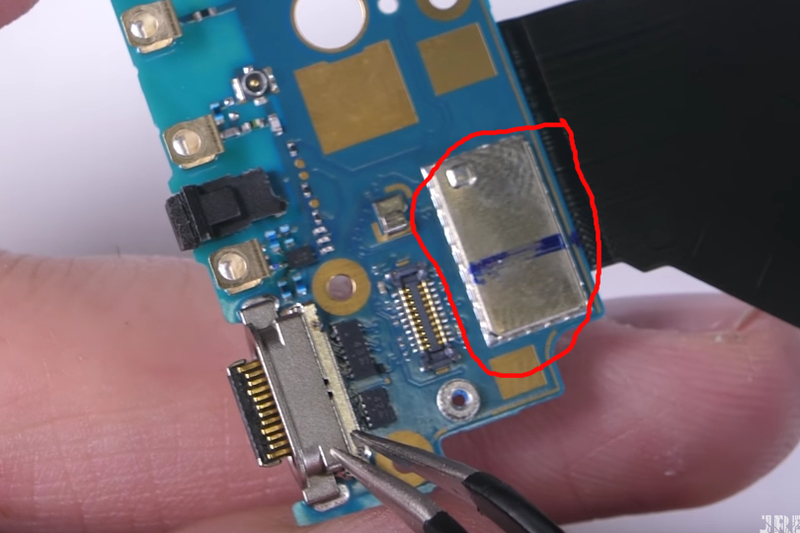 If you watch Zacks teardown on JerryRigEverything you can see the "hot spot" is exactly where something is stuck on the back of the screen. Clearly it isn't a dead pixel. If it was a hotspot as you said supra, you would first see discolouration of the screen, showing there's a heat issue. Normally a screen would display a reddish colour where the heat (hotspot) is. I've seen this on laptop screens as well. After a replacement it's gone. If it was a hotspot even with a replacement screen it will be back again. My clients haven't complained after a screen replacement again, some using their laptops for years after a replacement screen. Just stating what I've seen and experienced. I still say it's a dead pixel. If some 8s have hotspots, why don’t they all? Mine is from December ‘17 and still in perfect physical condition after use in every thinkable situation. The term "hotspot" is being used because no one knows what it is, If it was a dead pixel there would be a single black dot and not an area of increased brightness. Dunno but it is odd, my screen is never up full either and indoors when it is pretty dimly lit my screen brightness drops to 9% so it is deffo something under the screen causing it. The white spot could just be an extension of that. It doesn't look like that square under the display should do anything, but maybe it does put slightly uneven pressure on the screen, the difference getting bigger with age. I mean just press on any monitor slightly, it immediately shifts in brightness. 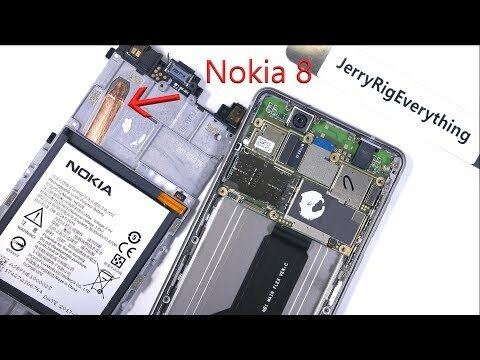 It's really difficult to get an LCD backlight to diffuse evenly (impossible actually, but you can get close enough where it doesn't matter), then all the pixels to work in agreement and as we all probably know the Nokia 8 display is anything but quality, I could always see some bleeding from the sides. That's exactly in my experience what happens when a pixel dies, you will see the other surrounding pixels appear brighter. Well that's what I've seen with Laptop screens that I've replaced. Always thought it was the screen and backlight over compensating for the one pixel that doesn't work optimally anymore or a burn-in from leaving the screen on too long or something. To me it was just a sign the screen is busy dying and need to be replaced and advised my clients as such. But it seems you know better. All of the best hope you have the guts one day to write a post and say I was right, but I doubt it. So you're saying multiple phones have single pixels dying in around the same area? With how displays work, it doesn't make much sense. The backlight doesn't compensate for anything, it can't decide for one area to be brighter than the other. And it doesn't make much sense for other pixels to produce a ridiculously smooth gradient around a dead pixel either - they have no problem displaying black elements as thin as 1px without the surrounding area changing tint. This looks like a plain uniformity issue which is not at all uncommon in LCDs. You do realise we aren't talking about that black dot visible in the image don't you? 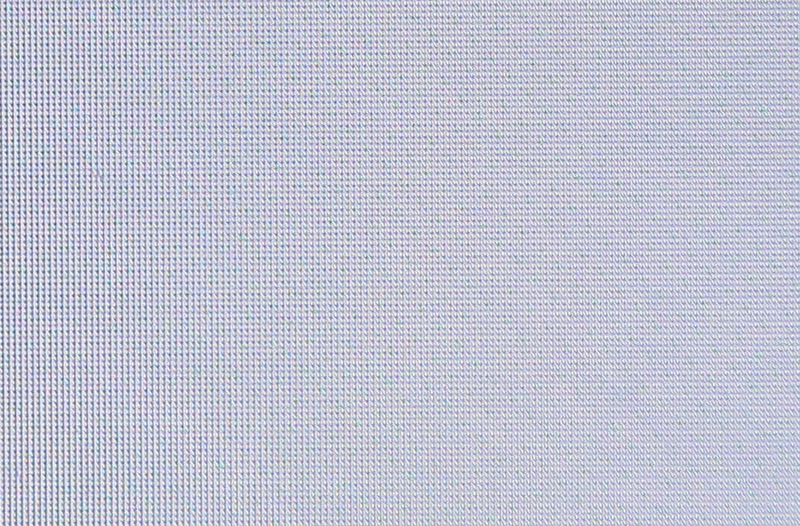 When i bought my monitor it came with a single dead pixel very near the bottom bezel and it sits in the windows taskbar so i don't notice it. I have been using the monitor daily for the last 15 months and it is not only brighter than my Nokia 8 it is also on for over 10 hours a day. As you can see the dead pixel has in no way effected the pixels around it. FWIW i tried to take a photo of the brighter patch on my Nokia 8 screen, it is quite difficult given how small the pixels are (unlike on my 1080p monitor) but as you can see there are no dead pixels so that is that theory dead in the water. I have the dot too, in exactly the same place, I noticed it early last year after I'd had the phone about 6 months or so. All of the best hope you have the guts one day to write a post and say I was right, but I doubt it. 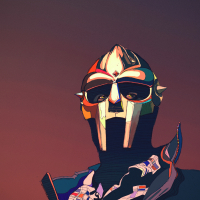 Just like you'll have the guts to admit you was wrong no doubt. 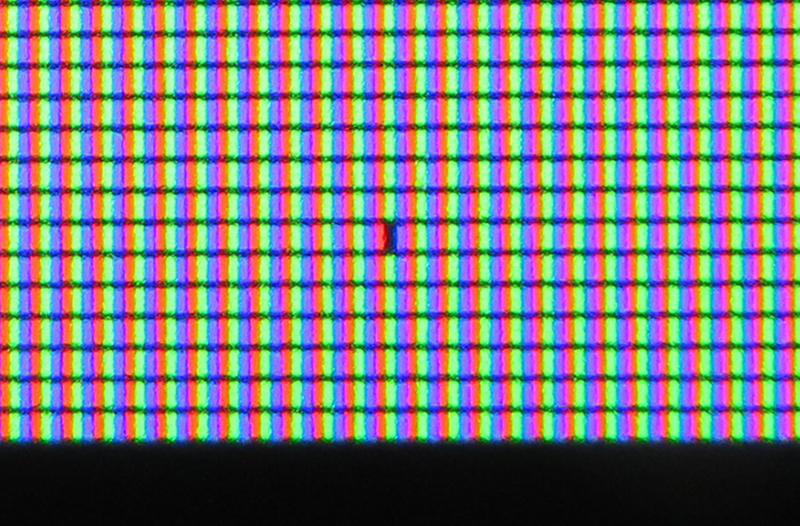 I referred to the "black dot" dead pixel. You stated it wasn't a dead pixel and that I'm wrong. Did you take it into a repair shop and ask them what's wrong? What did they say? What is the black dot the screen then a fly or a mosquito sitting on the screen? A piece of mud? Like I stated above to me it doesn't matter if there's discoloration around the dead pixel or not I replaced the screen. It might be another issue that caused the discolouration I had my suspicions but didn't test it to really see as to me the screen was faulty and needed to be replaced. I could have tested it, but most clients wouldn't want to pay more than what they have to and be billed per hour just to hear later the screen needs as replacement anyway or it works a few months then it starts again. They were happier to hear they have a new screen and the dead pixel or discolouration was gone. I was referring to jellel's image it has a black dot on it. Check the post from August. Like I stated I didn't check it, didn't test it was just a theory. Didn't go into it to check what was the cause was merely a opinion. Do you have proof that I'm wrong have you tested it? Or are your comment also just a opinion and/or theory? If you have proof please place it here will gladly look at it. Would like to mention I had a issue with dicolouration on samsung s6 edge screen that was heat related. The screen turned a redish colour when the device was warm especially when charging not white.